There comes a time in every homeowner’s journey when the time comes to sell your house. Once you’ve made that decision, there is much to consider. Especially when it comes to deciding where to spend your hard earned money on updates! What gives me the biggest bang for my buck? It should come as no surprise that the experts at Realtor.com encourage sellers to enhance curb appeal. After all, you only have one chance to make a great first impression! But what should you expect to get back? According to Realtor.com, you should expect to get an 88% return on your investment! 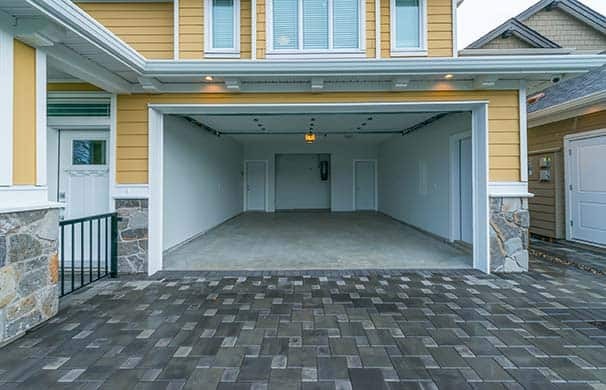 Not to mention the WOW factor of that crisp, clean, well maintained impression a new overhead garage door can give your home’s facade. That 88% return is second only to a new front door in terms of investment return. The National Association of Realtors also concurs. They rated the rank of exterior renovations appeal to buyers. Guess what topped the list? Yes, new garage doors. This project ranked third behind such projects as a new roof or windows. Not bad for a relatively inexpensive update. They also rated the percent of value recovered from the project at 87%. At Madison Overhead Garage Door Services our design consultants can help you find the most complimentary overhead door while being conscious of your budget. Our designers and installation technicians can take the guess work out of this project!